Ukraine has rejected a Russian request to pre-pay its gas bills starting in June, the move being likely to affect transit gas deliveries across the country further West. Prime Minister Arseniy Yatsenyuk published his letter to the EU Commission on the Ukraine government website, in which he expresses disappointment over the refusal of Russia to reconsider its “politically motivated price” of gas sold to his country. Twice in the past decade, price disputes between Moscow and Kyiv have led to reduced supplies of Russian gas to European clients via Ukraine, a conduit for about half the gas Europe imports from Russia. Ukraine wants to change the conditions of a 2009 contract that locked Kyiv into buying a set volume, whether it needs it or not, at $485 per thousand cubic metres (tcm) – the highest price paid by any client in Europe. Ukraine proposes the price to be fixed at $268.5 per tcm. After signing the agreement, Ukraine says it will pay the existing debt to be paid off to the Russian side within 10 days. But as Russia has refused to change the price, Ukraine’s Prime Minister writes that “the pre-payment issue cannot be included into the agenda of the contractual relations”. “The Ukrainian party promotes a strong message that provoking of a new “gas crisis” and attempts to discredit the reliability of a transit route via Ukraine are aimed exceptionally at construction of the Southern Flow gas pipeline, which, instead of ensuring diversification and strengthening of energy independence of the EU, is to bypass the territory of Ukraine as a transit country”, Yatsenyuk writes. In the absence of an agreement, Ukraine says it will take the issue to the Arbitration Institute of the Stockholm Chamber of Commerce. Apparently, Ukraine and Moscow make the effort to publish their correspondence online to avoid carrying the blame in vas gas stops flowing to Europe. On 15 May, Russian President Vladimir Putin published his letter to the leaders of European countries to which Russia sells gas. The recipients of the letter are the leaders of Austria, Bosnia and Herzegovina, Bulgaria, Czech Republic, Croatia, France, Germany, Greece, Hungary, France, Italy, Macedonia, Moldova, Poland, Romania, Serbia, Slovakia, Slovenia and Turkey. Putin says that the situation with payments for Russian gas “only got worse” following a trilateral meeting in Warsaw on 2 May involving Russian energy minister Alexander Novak, his Ukrainian colleague Yuri Prodan and Energy Commissioner Günther Oettinger [read more]. Over this period of time, Gazprom has not received a single payment for the gas supplied to Ukraine, and the total debt has grown from $2.237 billion to $3.508 billion, Putin writes, adding that this happens despite the fact that Ukraine has received the first tranche of the IMF loan to the amount of $3.2 billion. “Given the circumstances, the Russian company has issued an advance invoice for gas deliveries to Ukraine, which is completely in accordance with the contract, and after June 1 gas deliveries will be limited to the amount prepaid by the Ukrainian company”, Putin warned. EURACTIV checked the amounts with the European Commission. Officials confirmed that the larger amount was due to the fact that Ukraine had imported a lot of Russian gas in April. Commission President José Manuel Barroso also published the letter he wrote today to Putin, in which he says it is “imperative” that as long as the trilateral talks are on-going, gas flows should not be interrupted. 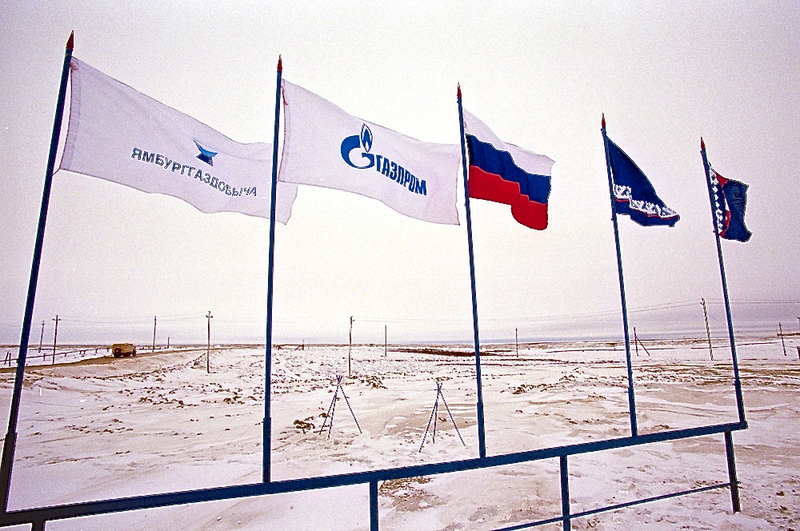 “It therefore continues to be Gazprom’s responsibility to ensure the deliveries of the required volumes as agreed in the supply contracts with European companies”, Barroso states. The Commission President offers the Commission services to provide actual data on the incoming gas flow from Ukraine and invites Moscow and Kyiv to also commit in the short term to provide actual data on gas inflow and transit through Ukraine. A gas crisis in June is likely to cause less damage than the previous payment disputes between Ukraine and Russia, which took place in winter. But this time the message of Moscow appears to be that direct supplies to EU territory across the Black Sea, such as the South Stream pipeline, provide better security than the Ukrainian route. Of course the gas has to be payed despite relations between E.U. Ukraine Russia !But PRE-payed ? I don’t know! Is it a pre-order? Still wondering that the russian Gazprom still hasn’t cut off the tab!